That’s a good question to ask, especially considering the supplement market is flooded a bazillion different types creatine. On this page, I’ll discuss the various creatine formulations, product blends, the form in which its manufactured and whether or not brand name matters. You’ll discover which ones work and which ones simply waste your money. …I’ll let you in on a little secret: Only one of the above formulations has shown, time and time again, in peer-reviewed studies, to be an effective performance boosting supplement – And the best creatine supplement formulation is none other than …drumroll please… creatine monohydrate! Furthermore, no reputable studies have shown evidence that the other creatine formulations are as effective as, or superior to, creatine monohydrate. On top of all that, the others are generally more expensive. They rely on pseudo-science marketing hype to sell. And while you can certainly find positive reviews for these products, they’re always highly subjective anecdotal testimonies. That’s not to say anecdotal evidence is useless. However, when the supporting scientific evidence is weak at best, it calls into question the veracity of such claims. 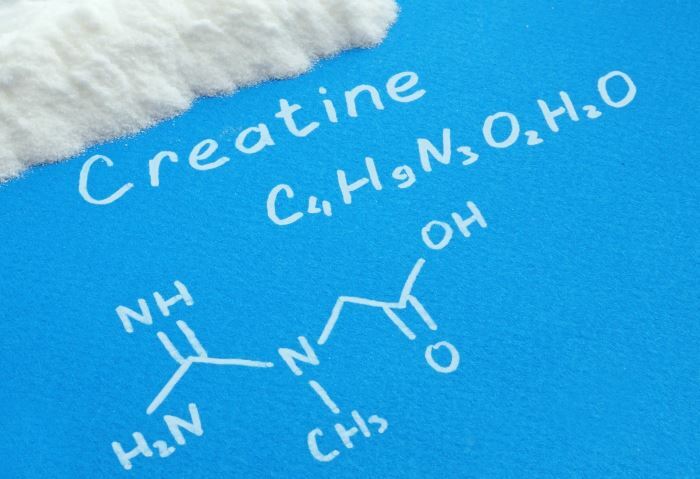 The only time it would make sense to try one of the non-proven creatine variations is if you don’t notice any effects from using creatine monohydrate. Then, if you do want to go ahead and experiment, try creatine ethyl ester. It seems to be the one with the best anecdotal results (but again, no strong supporting science). You can buy creatine monohydrate in four different forms: liquid, powder, micronized powder and capsules (powder or micronized). So which one(s) should you use? Do not buy liquid creatine monohydrate. It is ineffective due to its instability. That is, it becomes essentially useless by molecularly transforming into creatinine (not creatine) when dissolved and stored in a liquid. Besides, it’s expensive. Creatine monohydrate is most commonly in powder form. Nothing special is done to it. But it works, plain and simple. …Claims, however, that it also absorbs better and more efficiently in your body are unsubstantiated and overreaching. Finally, there are creatine monohydrate capsules. These capsules contain either the regular powder or micronized forms of creatine monohydrate. Thus, there is nothing unique about the form of the creatine in capsules. The capsule simply acts as a vessel to hold the creatine. This is convenient for folks who are on the go and don’t have the time or desire to mix creatine in their drink. Though, as you’d probably guess, capsulized creatine monohydrate does have a higher price tag. 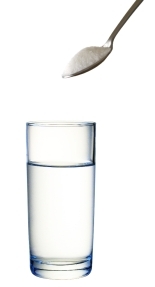 Some will argue that capsules are ineffective because they don’t allow the creatine to dissolve in water. However, there’s no proof behind that assumption. Furthermore, it’s a safe bet that stomach acid does just as good a job at dissolving creatine as any drink could. So, my recommendation for the best creatine supplement is to go with either the regular creatine monohydrate powder or the micronized creatine monohydrate. If you’re always on the go and willing to pay extra, then creatine capsules (regular powder or micronized) may be a good choice for you. Some creatine monohydrate supplements contain more than just the creatine. Many times, they’ll contain a carbohydrate powder as well. This makes it convenient for using in a pre-workout or post-workout shake where you need some carbs. However, the price of these carbohydrate-added creatine blends is simply not worth the benefit, in my opinion. You end up paying excessively for what is basically flavored sugar and some creatine. It’s much cheaper to just buy pure creatine monohydrate and add your own carbohydrates if need be. Isn’t all creatine monohydrate the same? Why does brand matter? Well, the brand name certainly isn’t the end all be all. However, you ensure product quality and safety by purchasing from a company that’s been around for a while, with a good reputation. Good companies want to stay in business, so they go out of their way to use high quality ingredients and ensure product safety. Use caution if considering buying some shady-looking brand of creatine by a company with no history. It’s better to be safe than sorry. Having said that, you typically won’t run into suspicious brands when casually shopping online. To find those, you have to do some digging around. To be extra safe, buy creatine products from brands that use Creapure® creatine. Based out of Germany, Creapure® is the most highly regarded creatine manufacturer in the world, best known for their strict production and quality control processes. Their creatine is tested and guaranteed to be 100% free of impurities. They don’t sell their creatine directly to customers; but rather supply it to supplement companies, who then package and sell it to consumers. If a product uses their creatine, its label should display the Creapure® name or logo. I recommend buying creatine monohydrate on Amazon . They’ve got the best prices and free shipping on most products. My personal recommendation is the 1000 grams of creatine monohydrate from NOW Foods . NOW Foods is a reputable brand, and they use Creapure creatine. Plus, this particular product is the best value you’ll find (1000 grams for $20) and it will last you months. I actually purchased the exact same product the last time I got creatine (which reminds me that it’s time to re-up). Only one thing i wan to ask, how much quantity do you think i should have ? i am currently doing cardio and weight lifting on alternate days.